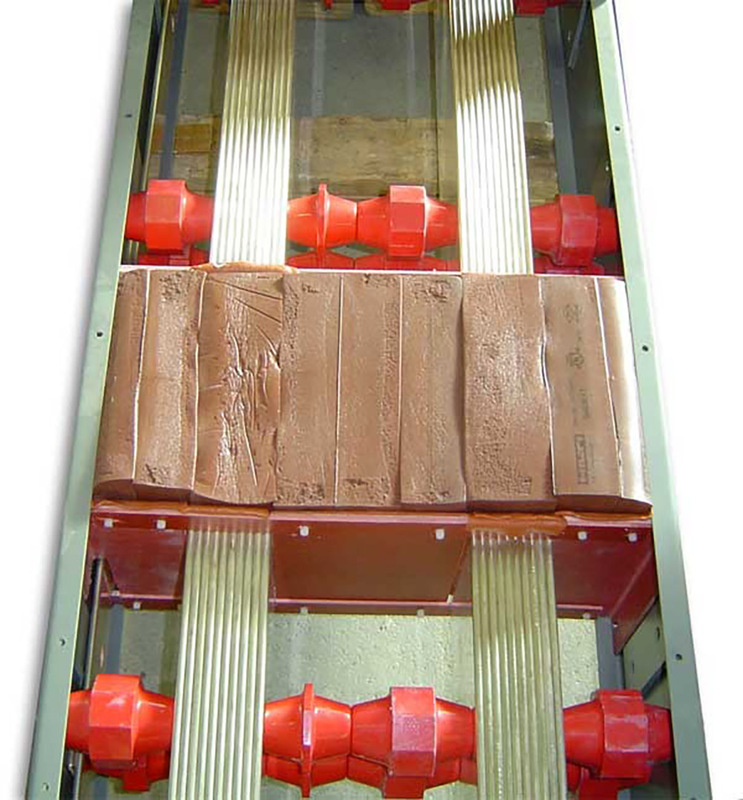 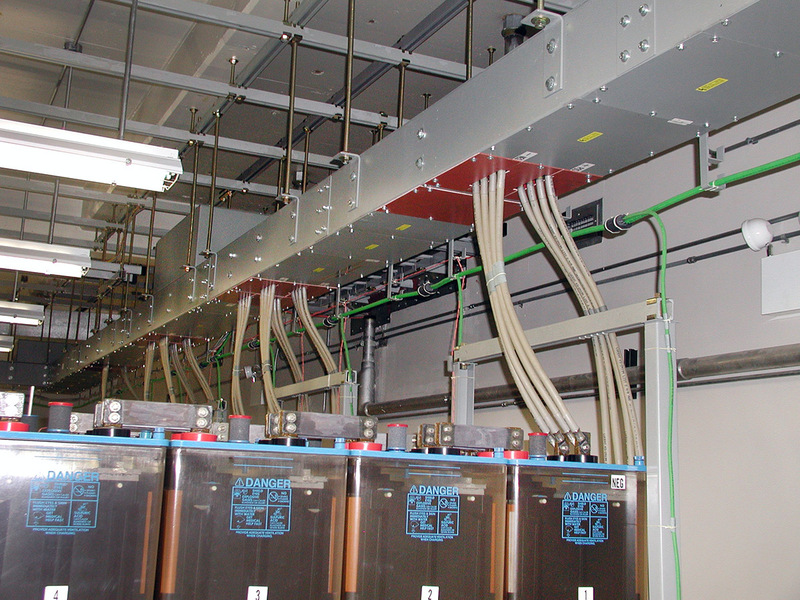 DC Busducts | Gus Berthold Electric Co.
DC busduct is a steel enclosed, copper bus bar system that can be used to connect batteries, rectifiers and power distribution bays in a variety of DC power plant applications. 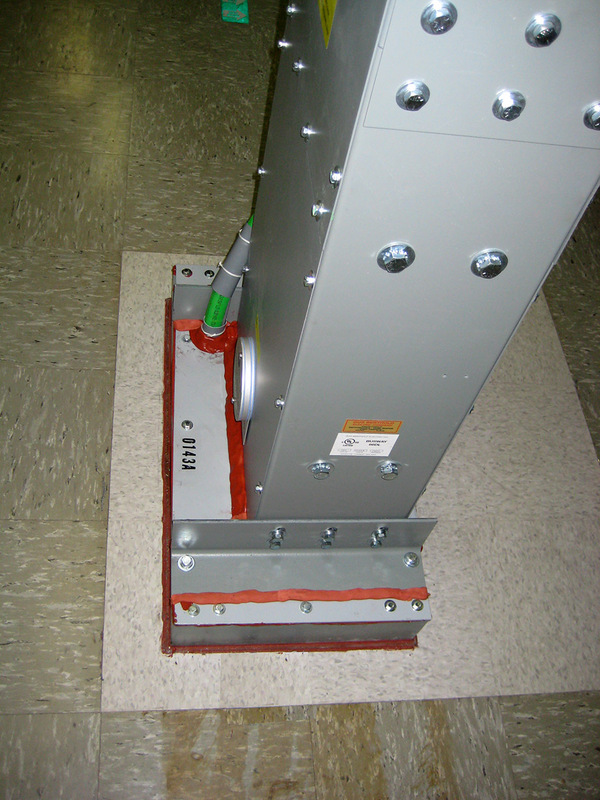 Each busduct is custom designed with all site measurements by the GBE engineer. 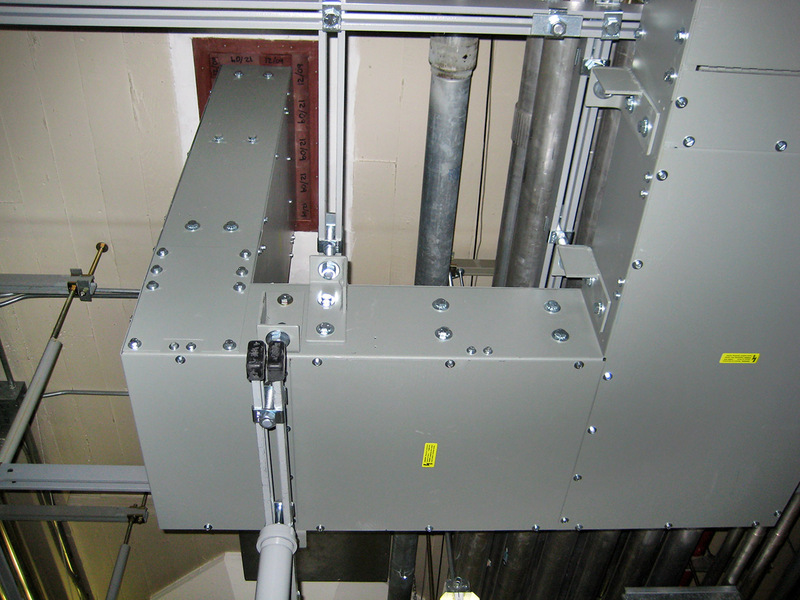 Busduct is typically supported from the traditional, overhead auxiliary framing channel. 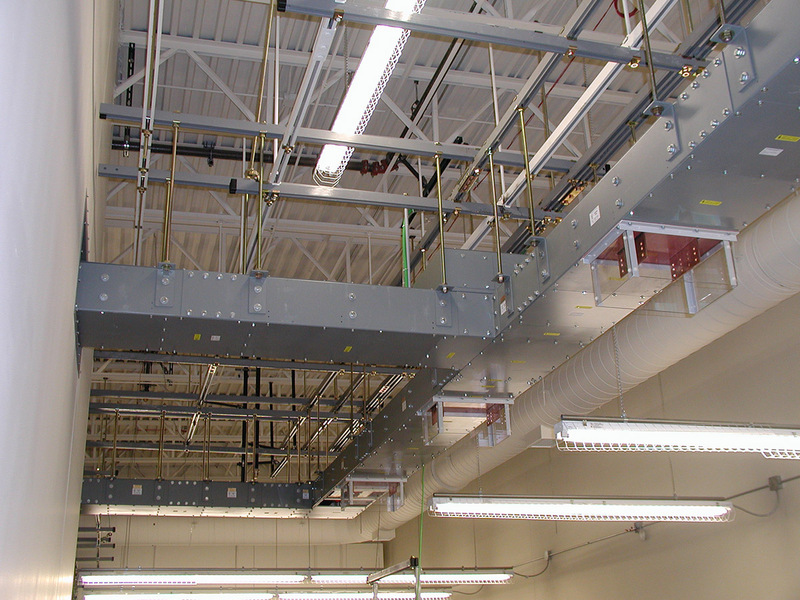 Busduct is shipped in modular sections designed for ease of handling and assembly. 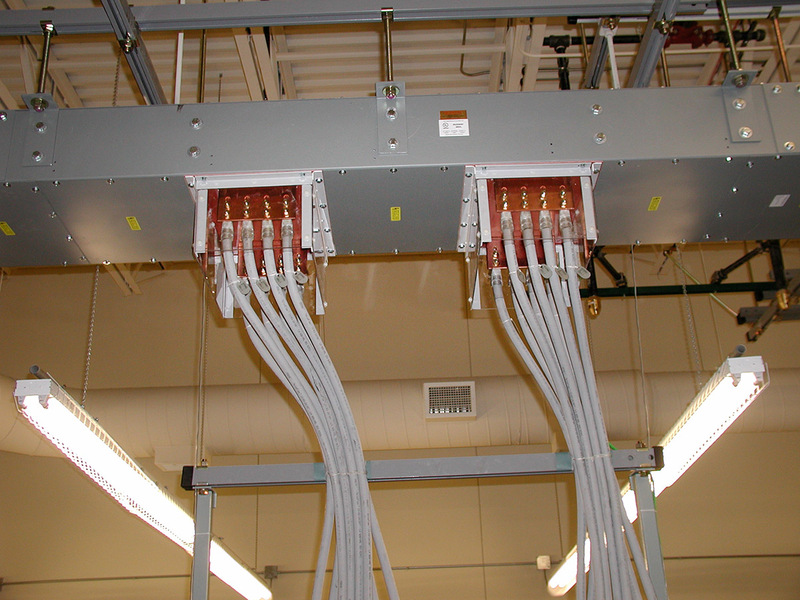 All busducts incorporate your equipment layout, voltage drop and grounding requirements. 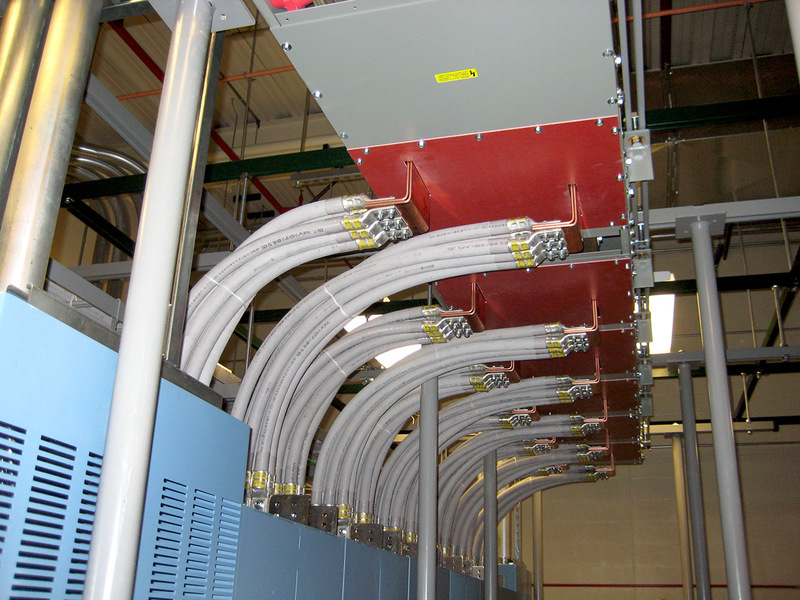 All busbucts are Underwriters Laboratories Inc. listed under File No. 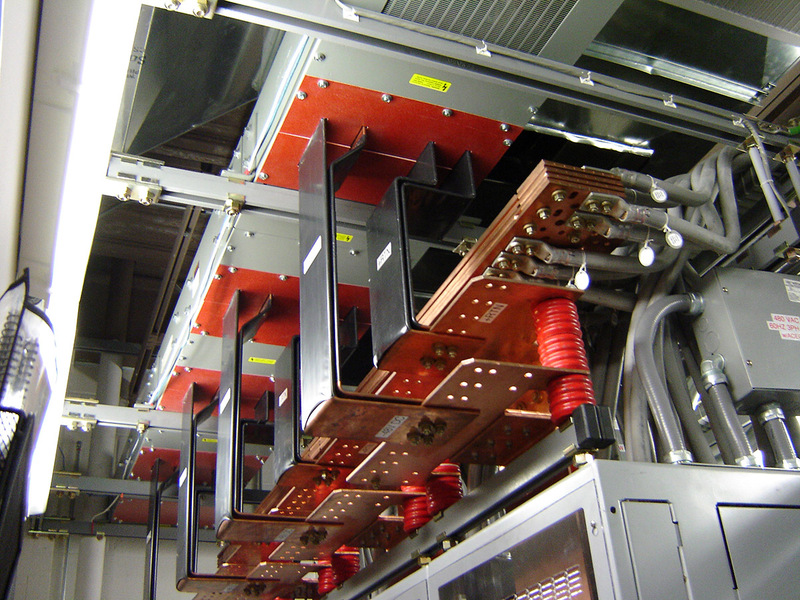 E488883. 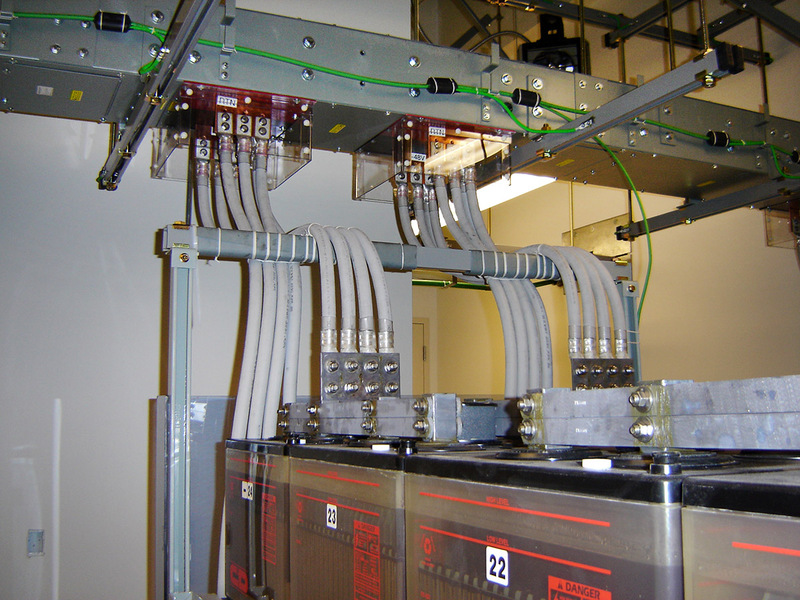 Accessories include shunts, external battery connection details, ground cable connection details, duct mounted cable support brackets for miscellaneous wire or cable. 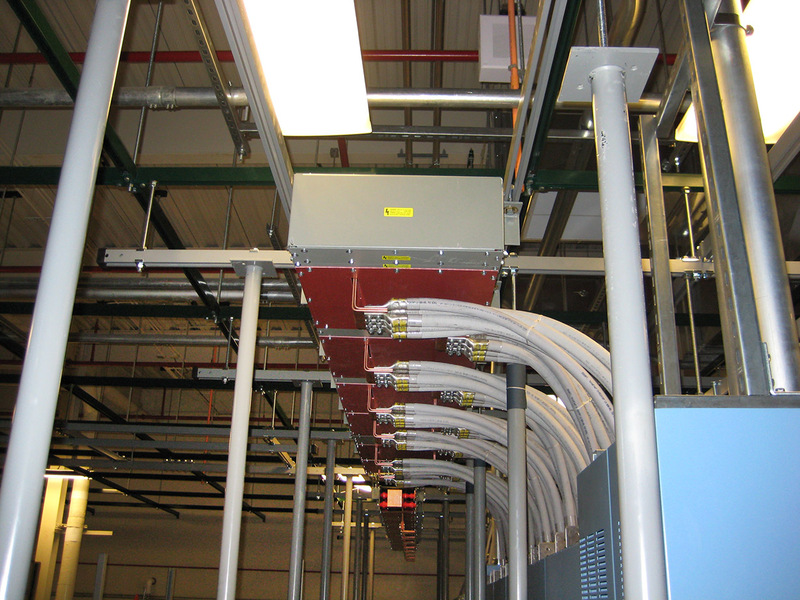 Use DC busduct within the confines of your power room to connect batteries and rectifiers to power distribution bays. 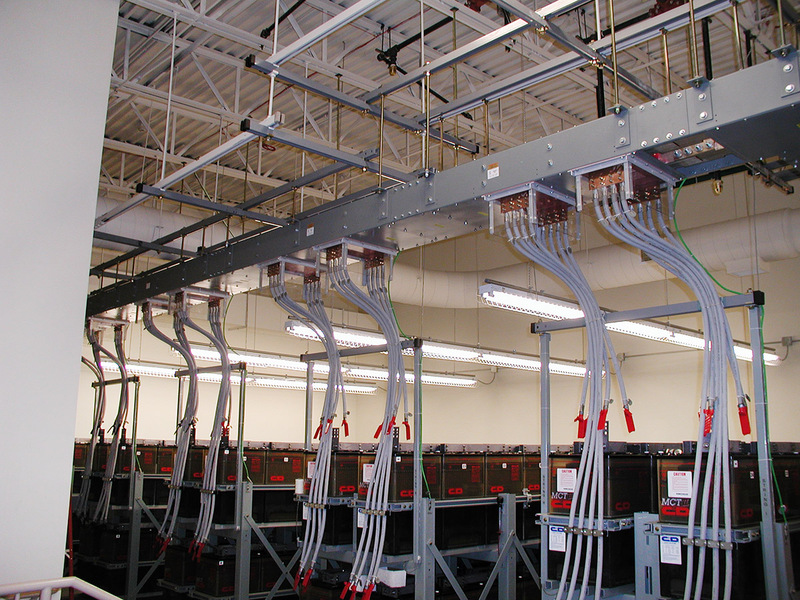 Connect batteries and rectifiers located in basement power rooms, to power distribution bays located on other floors. 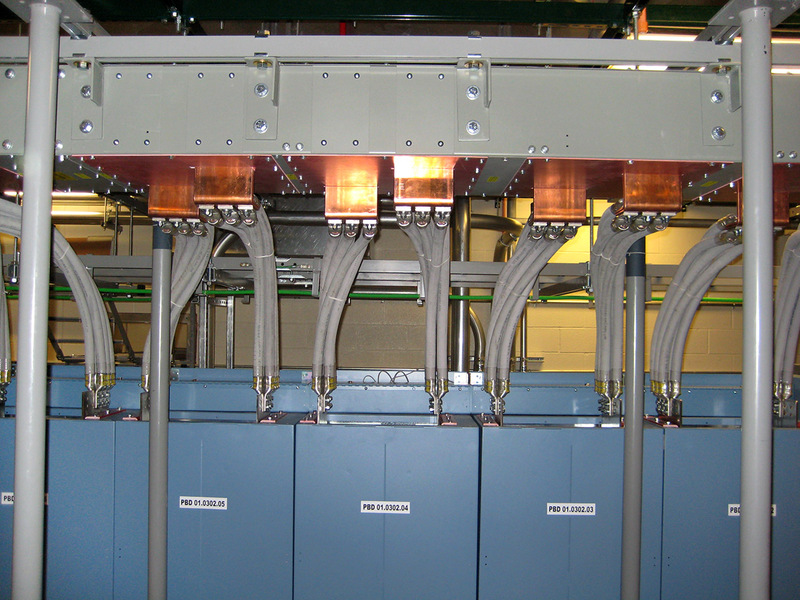 Especially good for long runs requiring high current capacity and minimum voltage drop. 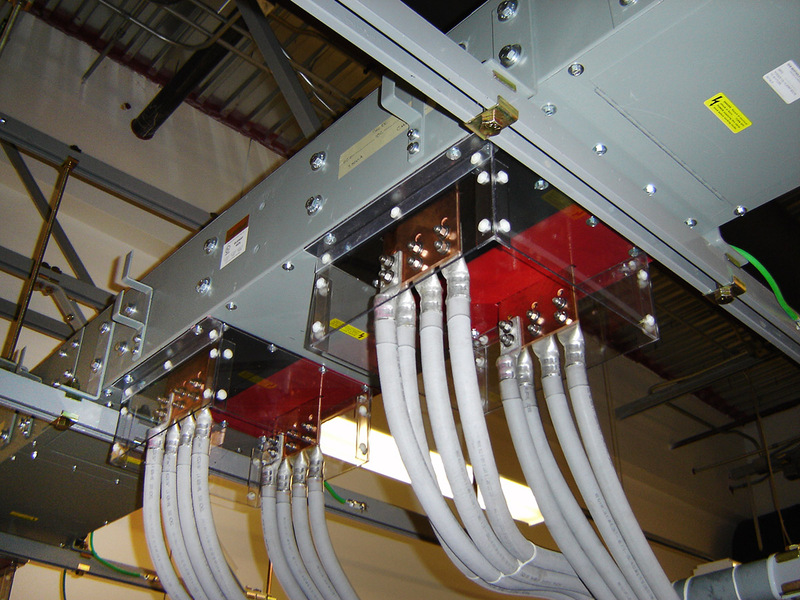 Use DC busduct in conjunction with our custom charge/discharge bus bar and shunt assemblies to minimize open cabling and rack.